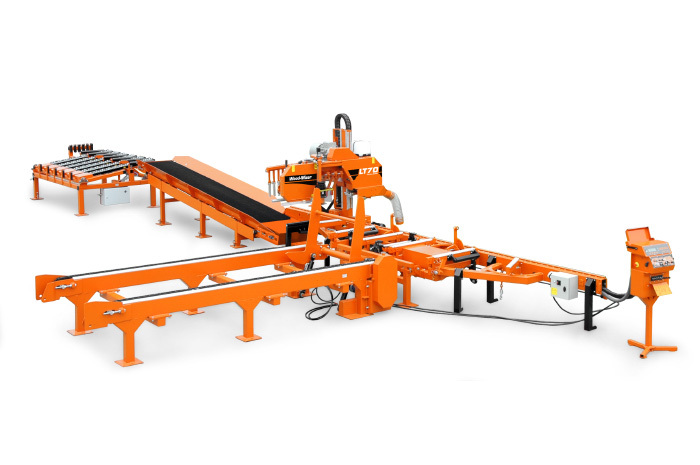 Wood-Mizer’s LT40 and LT70 Remote integrated sawmill systems give you everything you need to process logs into finished boards more profitably with minimal expense and labour. 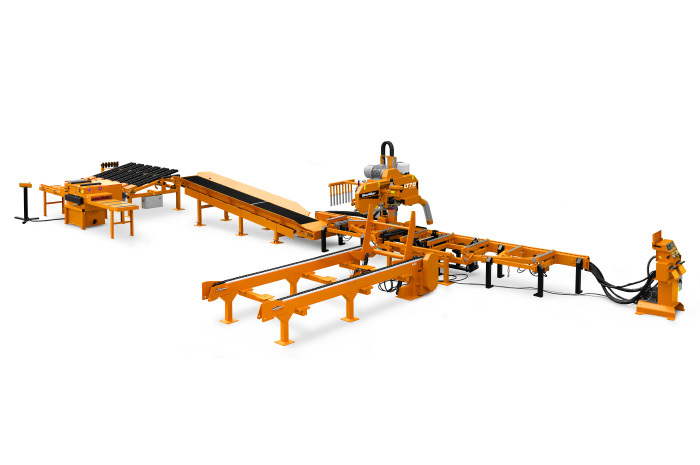 The Remote configuration pushes the production capacity of the LT40 and LT70 to the absolute maximum with a Remote Operator Stand and adds a full range of conveyors and tables for moving logs to the sawmill and boards further down the line. All sawmill controls are centrally located and the operator has every control within easy reach at all times. • Transfer Table - quickly directs waste, finished boards, and slabs for edging in three different directions. 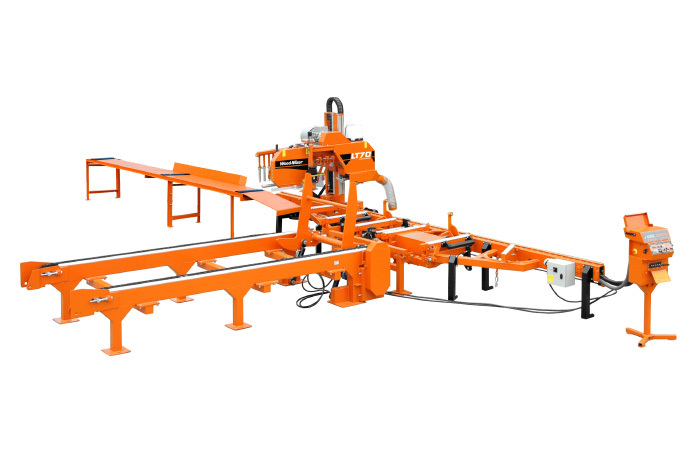 The LT40 and LT70 Remote sawmilling systems deliver maximum production using Wood-Mizer’s orange line of sawmills. The productivity, higher log yields, affordability and low operating costs make these systems very viable solutions.